Gonjasufi, Gaslamp Killer, Sampling, Copyright, Soundcloud, Jackin’. Was catching up on the runnings of DJ Ripley, and she lead me to this…it’s covers quite a few issue, which I won’t cloud with my opinions just yet. 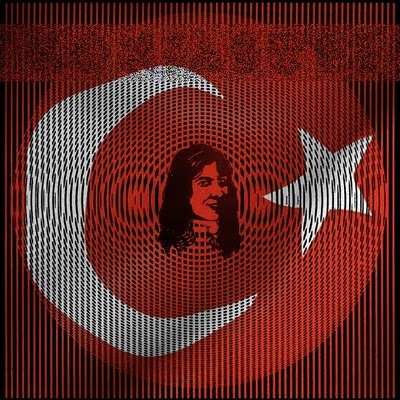 A Turk And A Killer .. some words ..
Last summer I listened to a lot of psychedelic music from all over the world. One of the ‘scenes’ I really got into was the Turkish ‘Anadolu’-rock scene. While listening to a lot of these fuzzy tracks I was really surprised when I discovered that quite some tracks released by The Gaslamp Killer & Gonjasufi are so close to the original Turkish songs… they’re just slightly altered, edited and have a voice-over by Kutmah. Okay, just one jab…Since when did Soundcloud become the way they are, miserable?! Thx for spreading the word!